Site owners who are trying to build up their sites and draw more and more traffic to them are normally heavily reliant on the information that Google Analytics provides them with. There, they can acquire all kinds of info about the traffic of their site – where the most traffic comes from, how long the visitors’ sessions are, information about the overall demographic of the visitors and much more. This is exactly why it could be a serious issue if you are a site owner and have gotten targeted by a referral spam campaign such as the one conducted by 99-reasons-for-seo.com. What referral spam does is it generates fake views to your site – they have no session time and their bounce rate is usually 100%. This is because those visits are normally done by bots or in 99-reasons-for-seo.com’s case which is a recently reported form of ghost spam, there are no actual visits and only the GA stats of your site have gotten modified. The purpose of this isn’t to harm you – it is to benefit the spammer. You see, it’s likely that once you notice the increased number of empty visits that are all from the same web address, you’d visit the spammer’s site to in order to gain a better understanding of what’s really going on. However, by doing so, you’d be effectively increasing their own site’s traffic and boosting their GA ranking. This is actually the whole purpose of the referral/ghost spam schemes. Now, while this doesn’t necessarily harm you directly, the inaccurate GA statistics you’d get in result can hurt your site’s performance since you wouldn’t be able to accurately determine what your site’s traffic really is. Luckily, below we have the solution for you in the form of a removal guide for 99-reasons-for-seo.com. 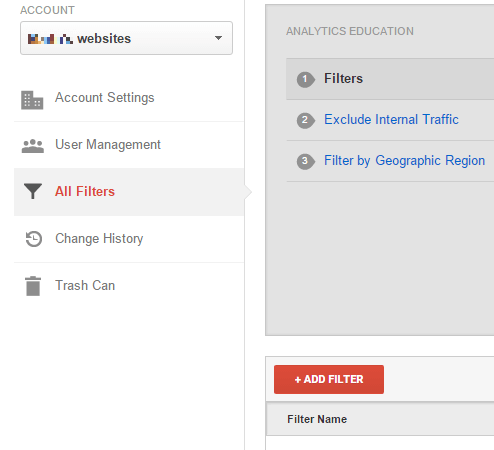 STEP 2: Next, click New Filter and add 99-reasons-for-seo.com in the Filter Name value. STEP 3. Select the Custom Filter Type. In the Filter Field —> Campaign Source. In the Filter Pattern text box, add 99-reasons-for-seo.com and click the Save button at the bottom of the webpage. Thank you so much for the tips. 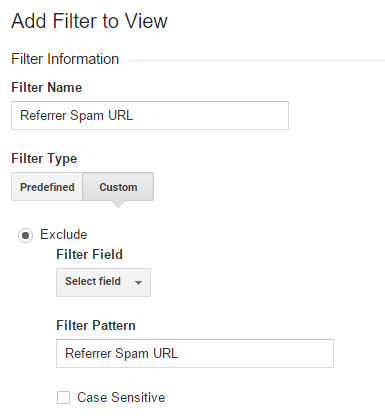 I noticed I have this annoying spam coming to my traffic and immediately set the filter for it! Question: In GA after filling in the 99 domain, there’s a “Apply Filter to Views”, do I need to change anything there? Thanks. I got lost after step 3. “add filter to view”. what is that about?